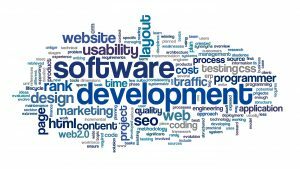 We are your complete software application development company providing all of your software development and service needs. At Executive Order, we design, develop, document, and deliver your custom software application. We provide software development team management, team leadership, and product direction, and develop affordable quality applications that are specifically designed for different vertical markets. Executive Order Corp provides professional custom software development solutions for companies requiring custom software applications in windows desktop, windows server, UNIX, Linux, Android, Drools, BRMS, jBPM, C/C++, embedded systems. Our unique approach to development will ensure that your application is developed on time and on budget. Our complete service includes an “All Design Approach” to your software development and support needs. DROOLS Design — Executive Order builds complex systems for automated network management, business rules, business process management, natural language understanding, ontology, real-time planning, and visualization. We provide Artificial Intelligence (AI), Business Rule Management Systems (BRMS) DROOLS and Business Process Management (jBPM) research and development. 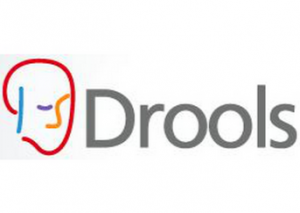 DROOLS System — Drools emulates the decision-making ability of a human expert. Drools can reason to a conclusion (infer) beyond what we currently know. 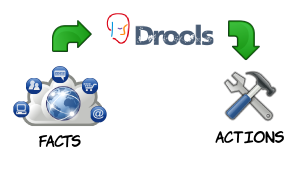 Drools, an inference model provides a conclusion reached on the basis of evidence and reasoning. The application of inference rules results in new knowledge (from the consequences of the relations matched), which is then added to the knowledge base. In forward chaining, the system starts from a set of facts, and a set of rules, and tries to find a way of using those rules and facts to deduce a conclusion or come up with a suitable course of action. Executive Order Professional Services is a complete software development solution. By providing a full spectrum of consulting, training and support services, we assist our customers with the development, integration, deployment, and management of their enterprise systems. We provide custom software development team management and leadership services to ensure that architecture, design, and development are carried out appropriately with new and existing technology consideration and integration. Our application development consultants help our customers to achieve their strategic information technology goals. Whether your need is a large enterprise-wide solution or simply need some additional resources to work with your team, we can assist you. We can help you define a package of services that will help your project to be successful by delivering on time and to budget. Executive Order has specialized in project mentoring over the past three decades. We’ve been instrumental in helping our clients get their projects running successfully. Work with one of our experienced consultants assigned to your team as a technical adviser to get the skills you need to develop on-going enterprise applications. A project consultant can be scheduled for the complete project, or just for the critical portions such as start-up, mid-course corrections, or final packaging and testing.